Never stop pursuing your dream. The key to success is to be yourself, to do your best. Fly a military jet is not only a job for men, it’s demonstrated by the numerous female pilot flying successfully the most advanced fighter jets currently in service. 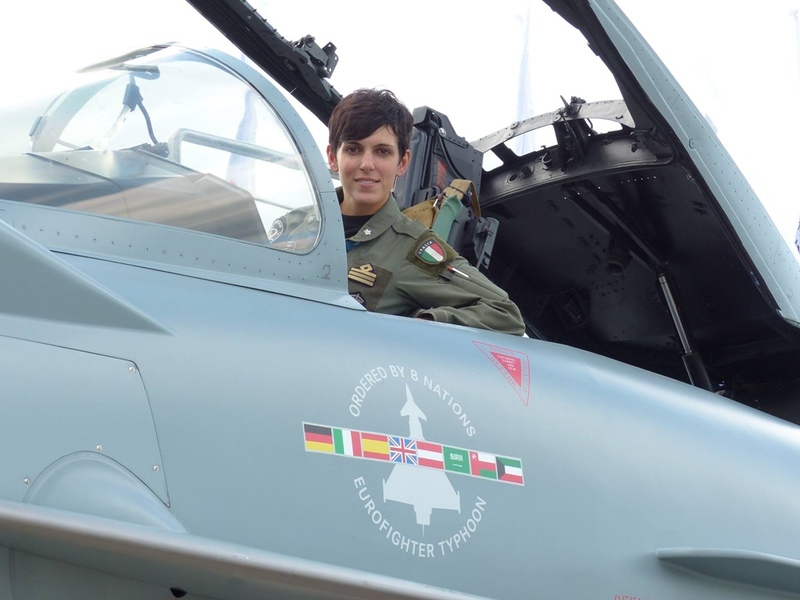 Airbus Group shows a picture of a Eurofighter female pilot in service with Aeronautica Militare Italiana (Italian Air Force). She carries the rank of Captain and the coat of arms of the 4th Wing based at Grosseto Air Base (Italy). “Since I was a child, I always dreamed of being a military pilot. It wasn’t easy, there’s a huge selection process, but I made it. Yes, it’s a male dominated environment, but the key to success is to be yourself, to do your best, and no one can undermine the fact that you’re a woman. This should never prevent you from pursuing your dream." Today there are many women in service with the Italian Air Force and we are proud to be protected by them.